ATICC's mission is to build international cultural awareness, provide a high standard of repertoire based on close relations with the diplomatic and cultural representatives of different countries in the United States, and develop interactive educational programs for the youth of the District of Columbia, DC Metro area, and around the US. Ambassador Theater International Cultural Center (ATICC) was founded in December 2007 by Hanna Bondarewska, a Polish-American actress and director and it was incorporated January 22, 2008 in Washington DC as a non-profit organization 501 (c) 3 to serve the DC Metro community as international cultural center divided into two major components: Ambassador Theater with all its theater productions, staged readings and bare-bone productions and International Cultural Center with all educational programs, lectures, play-reading workshops and special events. ATICC aims to create stimulating center that inspires dialogue between individuals and cultures. We feel that living in one of the most ethnically diverse cities in the country gives us a unique resource and opportunity to explore theater from around the world. We want to create theater that reflects this multicultural richness, giving voice to people who have not traditionally been represented on the American stage. We feel that producing work from across the globe makes for richer, more interesting art and makes those involved – whether as artists or audience members – richer citizens of the world, as well. 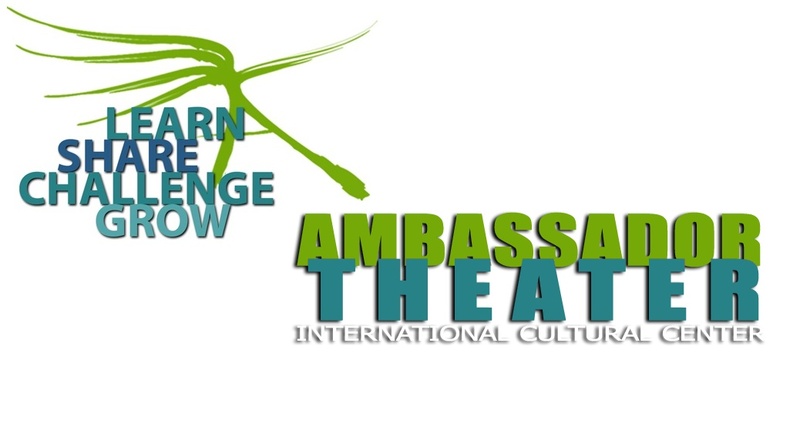 ATICC's first endeavor was to create the Ambassadors of International Culture program, which provides in-school, curriculum-based drama instruction to elementary school students. With the partnership of the Embassy of the Republic of Poland, the Washington Performing Arts Society, the Embassy Adoption Program and DC Public Schools, Ambassador Theater taught students at Anne Beers Elementary School in Washington D.C. about Polish history and culture using a variety of performing and visual arts techniques. The program culminated in the creation and performance of an original play based on the material the students had learned called “Poland the Beautiful: An Imaginary Flight.” This play was performed by students at their school, at the Embassy of Poland, and at the Presidential Palace in Warsaw and Krakow during a twelve-day trip to Poland. 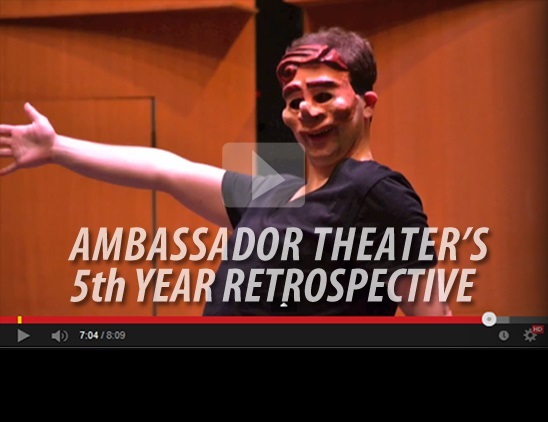 2009 was a year of exciting expansion for Ambassador Theater. The company launched both its Main Stage and Bare-Bones series. Full productions included “Out at Sea” by Sławomir Mrożek, directed and designed by Hanna Bondarewska and “Hopa Tropa!” conceived and directed by Lilia Slavova. “Hopa Tropa!” was selected to be performed as part of the 2009 Kids Euro Festival at the Kennedy Performing Arts Center, the Shakespeare Theater, the Embassy of France and Arc Theater in Washington DC. Our Bare-Bones productions included “Forefathers, Part II” by the “Bard of the Polish stage,” Adam Mickiewicz, and “Farewell to Arden: Last Toast of Madame Helena,” an adaptation of Émigré Queen by Kazimierz Braun. Ambassador Theater kicked off 2010 by inaugurating our New Work in Development series with “Not My Label: A Journey of Discovery” by the writer known as Rula. This one-woman show not only gave Ambassador Theater the opportunity to support the creation of a new work, but also to share the perspective of an Arabian women, a perspective that is not frequently heard in American theater. Our first Main Stage show of 2010, “Summer at Nohant” focused on the tumultuous relationship between French writer Georges Sand and Frederic Chopin, in recognition of the 200th anniversary of the Polish composer’s birth. This production was said to have demonstrated Ambassador Theater’s “skill and enthusiasm” by DC Theater Scene. Two Bare-Bones shows followed: “The Country House” by Stanislaw Ignacy Witkiewicz, celebrating the 125th anniversary of the famous Polish playwright’s birth and “An Evening with Maurice Maeterlinck: The Death of Tintagiles and The Miracle of Saint Anthony”. Our last show of the year, “The Little Prince” was enthusiastically received by critics and audience members alike. In January 2011, we opened a production “Under the Shadow of Wings”, which was a double bill” “The Death of Tintagiles” by Maurice Maeterlinck from Belgium and “Karna and Kunti” by Rabindranath Tagore from India. This production brought a lot of attention from the media and opened up and developed our partnerships with the Embassy of Belgium and Embassy of India as well with the cultural representatives and scholars—specialists in Indian and Belgian theater. In addition to the show, we celebrated the 150th Anniversary of Rabindranath Tagore’s Birth at the Embassy of India. The Embassy of Belgium hosted our Opening reception celebrating 100th Anniversary of Nobel Prize Winner, Maurice Maeterlinck. In March, ATICC opened The Literary Café at the Kosciuszko Foundation. Our first meeting of the cafe celebrated International Women’s Day with an Evening of Poetry and Music, "A Woman's Sigh." The Literary Café was a great success and subsequent meetings in May and June were “Love Explained all to me” as well as Miłosz and His Life Travels, celebrating the 100th Anniversary of the Birth of Nobel Prize Winner, Czesław Miłosz. As part of our New Work Series, we produced a special stage reading of a new musical, “Called Up To Life” by local writer, Art Levine, blending the sounds of klezmer and Yiddish theatre with Hasidic storytelling. 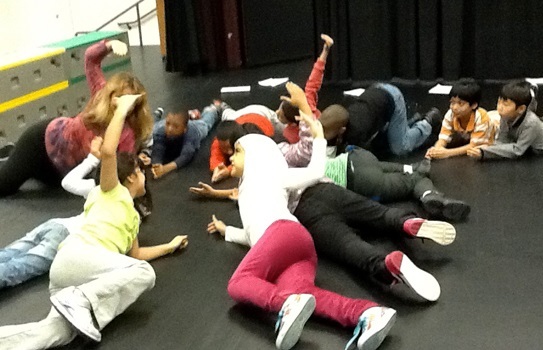 This summer we offered two youth theater camps as part of our program, Ambassadors of International Culture. In July, we explored the Ancient Culture of Egypt at Source. The kids participated in all aspects of theatre production, from acting games to creating costumes, and the camp ended with a wonderful performance of “The Life of Hatshepsut” on Source’s main stage. The second camp was in the Dupont Circle Historic District at the Kosciuszko Foundation exploring the Polish Culture through poetry and art. The kids’ final presentation included the poems and songs performed for their families. Another way in which Ambassador has been making strides is in the development of its infrastructure. In addition to the partnerships and friendships with the embassies of Poland, Bulgaria, France, Belgium, Egypt, India and China, the theater has established new partnerships with the Kosciuszko Foundation, Cultural Development Corporation, Institute for Education, Gallery Beau SeJour, Hoffman Boston Elementary School and Alliance Française of Washington, D.C. We have increased a number of our Honorary Board and Literary Advisory Board to help us to rich out to broader audience and gain more ATICC's supporters. We have opened up a Literary Cafe at the Kosciuszko Foundation with the evenings of poetry and music, staged readings, lectures and cabaret shows. Ambassador launched its Dream Maker Campaign in response to receiving a challenge grant from Mercator XXI. Finally, Ambassador received notice this year that it will become Helen Hayes Awards–eligible beginning in January 2011. This recognizes the completion of its second year as a fully operational professional theater company serving the Washington, D.C. area.